An overview of Mound E and ET looking north. Inside the city to the right of the corbelled drain and gateway is an area of the city that has been identified as a crafts quarter. 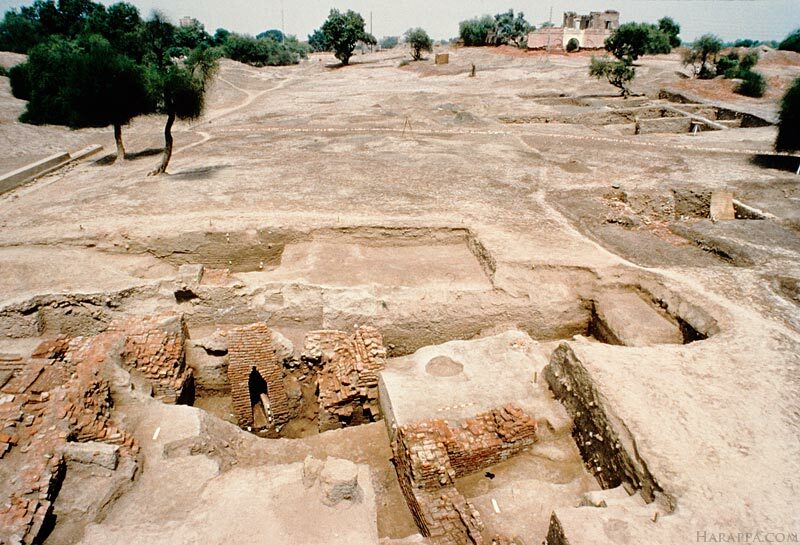 Large quantities of manufacturing debris have been found in this area indicating the presence of workshops for making stone beads, shell ornaments, glazed faience ornaments, stone tools and possibly even gold working.